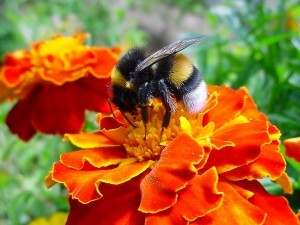 Home › Articles & Blogs › The Importance of "Bee Roads"
Do you know what a ‘Bee Road’? It’s a wild flower planted on farms to attract & protect Bees. I’ve started my own “Bee Road”, sowing a wild flower strip of about 40metres x 10m along a roadside in East Staffordshire. It was sown this spring and is now in glorious techno colour. 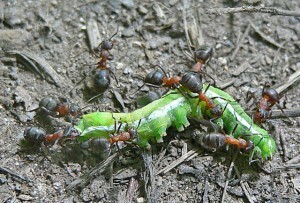 The bees & insects love it! Even people stop to take photos and admire the masses of colourful blooms and abundance of Honey bees, Bumblebees, butterflies & insects that flitter, fly and buzz around the Bee Road. Almost a third of global farm output depends on animal pollination, largely by honey bees. These foods provide 35% of our calories, most of our minerals, vitamins, and anti-oxidants, and the foundations of gastronomy. Yet the bees are dying – or being killed – at a disturbing pace, which could have an adverse affect on food security, globally. Bees are incredibly important to agriculture; including pasture based dairy farms. Yet, as I walk through pastures in the UK day after day, I see virtually no Honey bees & relatively few Bumble bees. 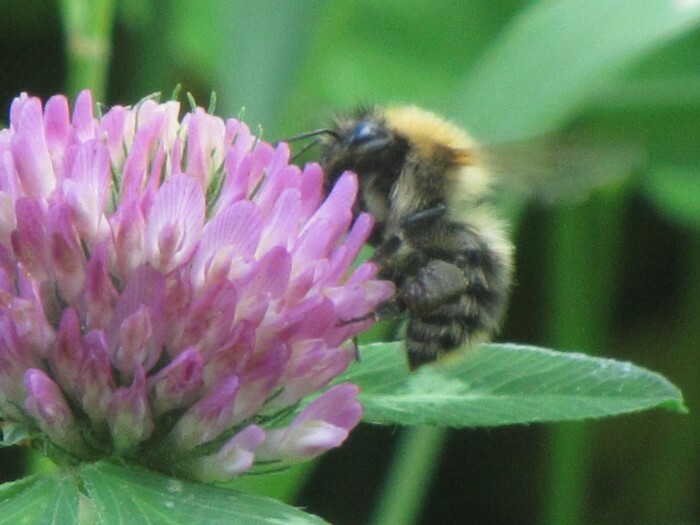 Pasture based dairy farmers in the UK do have pastures that contain a lot of white clover, some red clover & some herbs like Chicory which all feed the bee populations. Pasture based dairyfarmers depend on pollinators like bees, to reseed pastures with lush clovers & nutritious herbs. In France there are ambitious plans to plant wild flowers along 250km of roadside. This is likely to be extended over much of France with perhaps 12,000km of roadside being covered with, to help the Honey Bees. What an amazing plan! In the UK, the picture isn’t as vibrant,sadly. 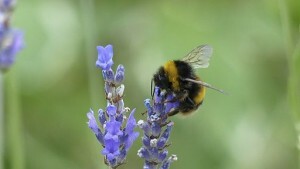 Evidence shows that biodiversity in the English countryside is not what it used to be and this is affecting the bee population on which agriculture & food production is so reliant. You only need to look at the roadside hedges in the English countryside and you will see that while they are lovely & green, they are very often without many summer flowers. Pasture based Dairy farmers need to take a public stand & be vocal about their support for saving the bees and for increasing the biodiversity on farms. We are already leading the way but we need to speak up and be heard. If we consider the potential to add Bee Roads to the UK map, it’s limitless. We have plenty of opportunities to plant either roadside “Bee Roads” or keep bee hives on the farms, all it takes is a little initiative and commitment. The rusty patched bumblebee now has protection under the US Endangered Species Act, after threats such as habitat loss has caused an 87% decline in numbers since the 1990s.